Founded by William Isaly in Mansfield, Ohio, where he acquired the Mansfield Pure Milk Company, Isaly expanded the business from processing milk for sale to other grocers to operating retail stores with milk, ice cream, bread and lunch counter space. 2 Isaly later pioneered the convenience store concept by selling gasoline. The first expansion of Isaly’s was to Marion, where he acquired the Marion Pure Milk Company in 1914. 2 The company then expanded to Youngstown and by 1918, constructed a dairy and new headquarters on Mahoning Avenue. 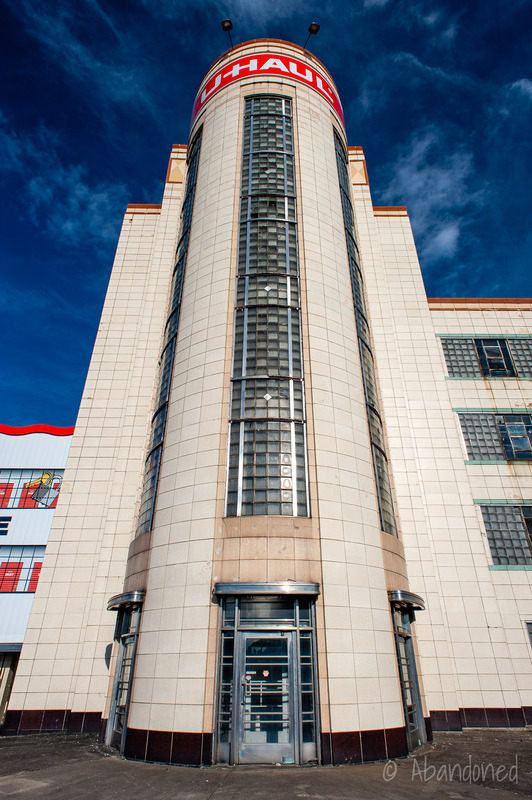 In the 1930’s, Isaly’s began a commercial building program that employed Art Deco and Art Moderne styled production facilities and retail outlets, most of which were designed by architect Vincent Schoeneman. 2 The new five-story headquarters in Youngstown employed those elements with an exterior designed by architect Charles F. Owsley. 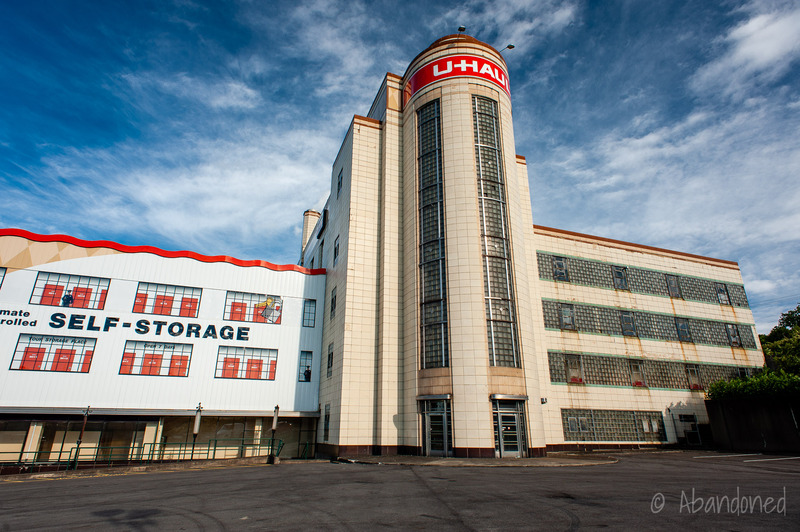 The Youngstown headquarters and production plant was renovated to serve as a local U-Haul franchise in the 1970’s. Cole, Ron. “Isaly devotees celebrated Skyscraper cones, chipped ham and Klondikes”. Vindicator [Youngstown], 5 Mar. 2001. Butko, Brian. Klondikes, Chipped Ham, & Skyscraper Cones: The Story of Isaly’s. Stackpole Books, 2001.